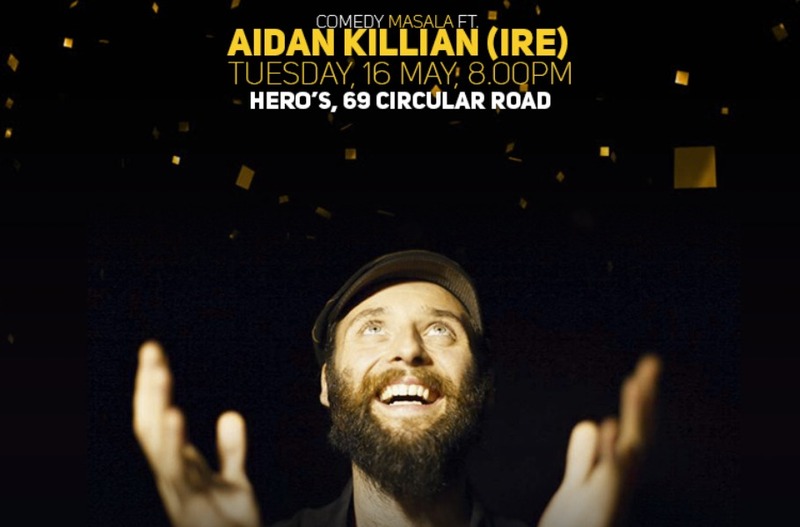 Aidan Killian is a spirited, unique, charismatic and passionate comedian with a rakish charm who has been compared to Tommy Tiernan, Russell Brand and an "Irish Mark Thomas, but without the cosiness” by UK’s main comedy reviewers, Chortle. 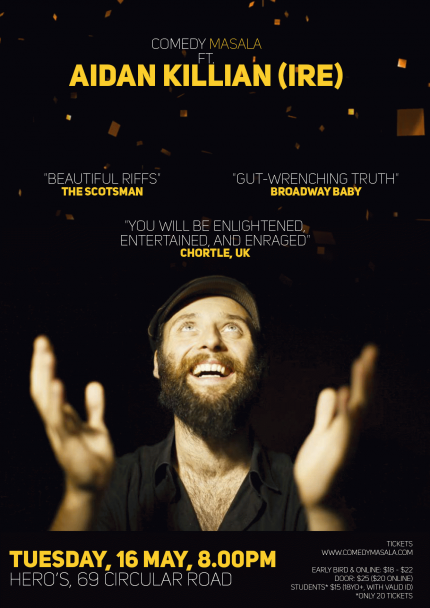 Not only was he the only Irish comedian in 2014 to get a 4-star review from Chortle but in 2015 he, once again, received a prestigious 4-star review from Chortle. Aidan's intelligent, impassioned and hilarious rants have been known to expose the hypocrisy and injustice in this world and leave the audience in a state of joy. He has made appearances on BBC Newsnight, RTE, 98 fm, 4fm, Spin fm, Vodafone Comedy Festival.